We evaluated the top router available in the market compared the process of tools features, usages, life cycle and cost. Looking to buy a new router for your shop? Is this your first router? Are you going to be using it on a router table? These are questions that I am going to attempt to answer using some facts about the products available and so good old-fashioned logic. What’s the Best Trim Router? Should You Purchase Router Bit Sets or Individual Bits? 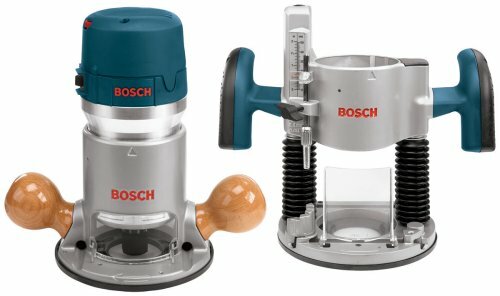 What about Discounted Router Bits? What's the Best Trim Router? Woodworking routers have been around for well over 70 years. However, lately, there has been a marked increase in the routers designed for tasks, or specialty routers. The product for innovative jigs, fixtures and router accessories has also exploded, allowing the router to perform tasks formerly not possible with the traditional router. The woodworker hobbyist is now faced with a difficult task when selecting a wood router to perform a variety of different shop tasks. The good news is that while there is not a single router that can perform every possible task efficiently, there are several general-purpose routers that can perform the most common operations with relative effectiveness. A trim router or a laminate trimmer is a tool used in wood crafting, especially for tasks that require accuracy and precision; in small chiseling, round overs, chamfers, and other detailed work. The tool is even used for mortising for hinges, making notches for retrofitting hardware, and to dado wood for custom grooves and joinery. This is a smaller version of a wood router and has similar features too. However, these routers are not designed for heavy and deep cuts. 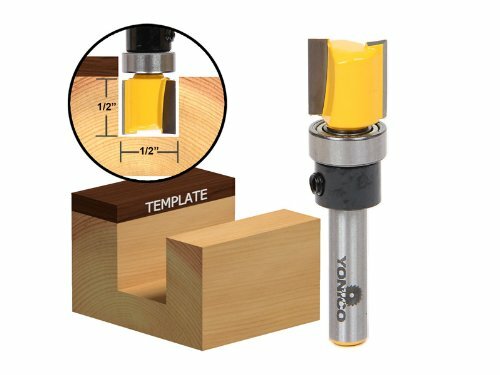 The changeable router bit is the lead part of this lightweight tool that is commonly used by wood artisans and carpenters. All brand provides various attractive offer. Few people recommend brand one and others will recommend brand two. If you ask 10 people, you will file 10 different recommendation. You need to purchase something which will suits the best match for your task. Use this information to buy the router you think you want and can afford and go from there. It’s kind of like buying a car, some people think their brand is the best, mostly because they own it, it’s a sentimentality thing. We all had cars we liked and did not like. Then buy or try something else. I personally do this all the time. Make the best decision you can and get on to the business of making sawdust. Power – The trim router is exceptionally lightweight and is comfortable to hold with one hand. Though not as powerful as “full-size” standard routers, these are effective enough to handle most of the necessary chores. With an output of less than one hp, trim routers are quieter. The motor generates a high torque by rotating at 20,000 to 30,000 RPM. The high rpm rate complements the small size of the bit. In the USA, a collet of a trim router measures just 1/4th of an inch. Router Bit – The bit of the router is adjustable to achieve the required accuracy for detailed work. The thumbscrew of the router helps in accurate height adjustment. The bit height can be adjusted using the quick-release lever that allows the user to get the desired bit setting. There are different ways of changing the bit of the trim router; either using a single wrench along with a spindle lock or by using two matching wrenches. If the router has a spindle lock, then the user requires only one wrench to change the bit. In a router with a dual wrench, one wrench is used on the collet, whereas the other wrench fixes on to the top like a key and holds the shaft. This prevents the collet from spinning. Cutting – There are several types of cutting that can be done with a trim router such as round-over, V-groove, a small cove, and beading bits. The off-set base in a trim router is handy for trimming back splashes or scribing. The tilt-base featured in most of the routers help in beveling laminate or cutting angled corners and vertical surfaces. Since, the orientation of the bit related to the work piece changes when the base is tilted, it gives the user flexibility to form different profiles using the same bit. There are various attachments available with routers including dust chute and an attachment that serves as an edge guide. The router bit with a bearing gives a better deal in routing on the edges of a work piece. The edge guide accessory that is available with most of the trim routers delivers the same performance while using the bit without bearing. Body – The body of the tool should be safe, well laid out and easily serviceable. Moreover, it is vital to see if the body is comfortable while in operation. Also, check the accessories packaged with the tool including the number of spare bits. The edge guide for the tool should be selected carefully. The seal-bearing guide is one of the better options. The visibility of the bit while in operation is essential, to ensure the precision of the work. This is mostly possible in the trim routers with a clear plastic base. However, the transparent plastic base routers are not as durable as routers with the combination of metal and plastic base. Some routers even have a work light and a micro-adjustment system as an accessory that gives an additional value to the product. Some of the trim routers have the twist-and-lock system that enables the motor to slide up or down in the housing, allowing the user to adjust the base as required. Amps versus HP – Well in short, if you have a 15 Amp router and you plug it into your 10-amp wall plug, and you decide to run a dust collector at the same time, guess what happens? Yes, it’s frustrating to stop and rewire your shop, but it happens? EVS – Electronic Variable Speed lets you control the speed of the motor. You want to do this if you plan on turning bigger profile bits. You cannot put a large router bit in your router and spin it at full speed. Some are too big and become very dangerous. You will need to control the speed externally. This feature is becoming standard on most routers offered today. Combos – Buying a combo pack can be like getting two routers for the price of one. Spending the extra cash is worth it to some people, only you can be the judge. Price – Do your homework. Price them out. The internet is a great place to price routers than from just buying from Amazon or Lowe’s or Home Depot. Look around. If you’re on a budget, try Amazon, but stick to a name brand. Speed – Single speed or variable speed? Single speed is good for smaller bits but for larger bits you need to be able to run at a slower speed to keep from burning the bit, so a variable speed router would be the best choice. A more advanced feature on some routers that will adjust the speed when a load is detected but this feature comes at a higher cost. Not really a necessity but you can get it if you feel the need. Bit diameter – The router you choose should be adaptable to use 1/4” bits and 1/2” shaft bits. Your 1/4” bit can fit in a 1/2” collet but a 1/2” bit will not fit a 1/4” Collett. The 1/2” bits are more stable and reduces chatter when cutting. Handles – Choosing the model with handles that are comfortable to hold the router in position while operating. Most routers come with handles on both sides of the base, but some come with one handle called a pistol grip where you would grip the handle with one hand and hold onto the motor with the other to stabilize it. The plunge router has handles on opposite sides of the base and has a lever to lock and release of the plunge feature of the router. You should be able to operate this lever without letting go of the handles. Here we reviews top trim routers for woodworking available in the market. Read out unbiased reviews and learn about the basic of each products. If you find anything suitable for your task then you can buy it from the purchase link. It works quietly as compared to other combination routers. Enough power for any routing job. Adjustments are quick and easy. There is no spindle lock. Difficult to work with two wrenches. If you are looking for the best router in town, do not look further because Bosch Router Kit is now available. This is the perfect set that you have been waiting for to be able to finish various projects and applications. It has more than enough power because of its variable-speed motor and fixed based wood, making it a perfect tool for routing applications. Bits can be easily adjusted from your router table. This brand also boasts of precision so everything would surely be accurate. It is very versatile because it can work with different other tools for applications such as precise bit plunging, laminate trimming, dovetail cutting, slot cutting, and many more. Regarding convenience, this is the best tool that you will get because it has a built-in Constant Response Circuitry that will help you keep a steady pace. When the cuts are already shaped, and you already have a clean wood piece, then everything else will follow. The package usually contains, aside from the router, easy bit change wrenches, collet chucks, adjustment wrench, and a good case where you can store all of them. Do not worry about its durability because the aluminum finish makes it very strong. Every penny you spent would be worth it. Very easy to maneuver because of its size. It is complete with all the guides, bases, and attachments that you need. Not for you if you do not want to deal with batteries. Seems too quiet for its power. When working with routers, there is a need for you to control the speed based on the application that you are going to do. 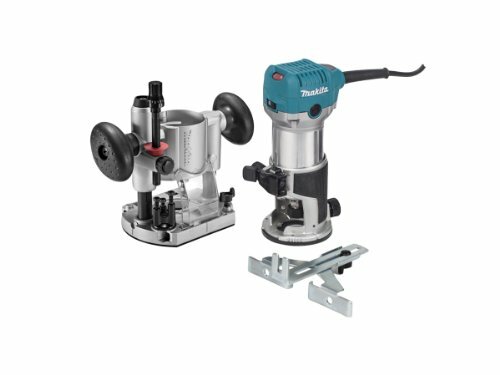 Makita offers this compact router kit that has a variable speed control from 10,000 to 30,000 RPM which you can use for various applications. The precision of the adjustment system is impeccable and can be smoothly managed. Even the depth can be adjusted easily with a quick release cam lock system. If you will look at the router, it has a very aesthetically pleasing look because it was designed to be ergonomic for the convenience of the user. The speed control makes this router kit unique from others. The strategic functionality of the base also helps in the ease of its use. It can accept industry standard template and can be quickly removed to install other bases. 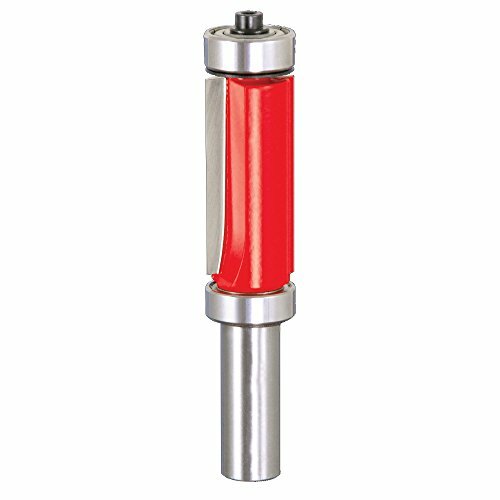 Router bits can easily be changed with the shaft lock feature of the router. It is straightforward to change bits because of the durable flat top design. The scales are user-friendly because they can be read easily. It can deliver high-quality performance because of its 1-1/4 HP motor. The kit is complete with everything that you need including a plunge base, straight guide, and spanner wrenches. This tool, just like others, will undergo wear and tear. However, it can easily be repaired as long as you know how to do it. Best choice for general purposes. LED lights are positioned perfectly for clear visibility. It does not come with bits. It does not come with an edge guide. People who deal with the heaviest applications would need this router combo kit because it can deliver significant power that reaches up to 1.25 hp. 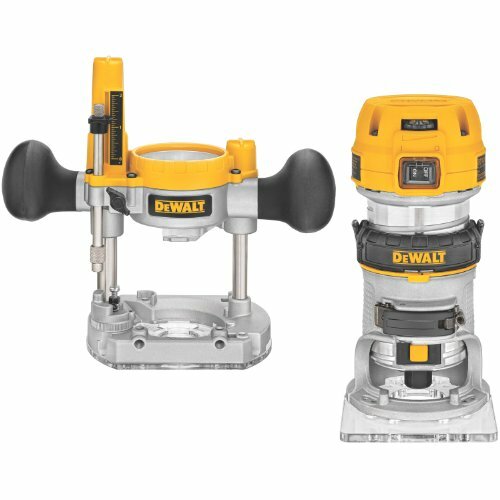 DEWALT is known for producing very efficient tools, and this is one of them. It has been optimized to ensure that the speed can match the project that you are working on. This speed feature ranges from 16,000 to 27,000 rpm. Although this might not be the fastest model, the combination of its speed and power makes it one the best yet. It allows for precise and smooth adjustment, both in the depth and the flexibility of its functions. Your DIY projects can surely be accomplished. It is made from light and clear plastic but does not be deceived because it is one of the most durable router kits that you will see in the market right now. It can be handled quickly, giving you the best visibility on what you are currently working on. You do not have to check the speed occasionally because it can be maintained throughout with the use of electronic feedback. Just like any other router, it has lock systems and buttons that will give you the chance to change bits and wrenches properly. It comes with all the other tools that you need. If you are an industrial worker, this one is for you as well. It is optimized to provide power and efficiency to a lot of functions. Micro-adjustment feature is superior to other models. LED lights makes work easier to see. Some find it difficult to depress and hold the shaft lock. The dial is sometimes hard to turn. Base is not that clear. This Bosch Colt Palm Grip router is very convenient because it includes accessories that are not present in some kits. These accessories, including a drop-forged collet, shaft wrenches, fixed base, and straight edge guide would surely make your work easier and faster. They work together to provide the best router that you will probably see in your years. The price of the tool is justified by the fact that it has a lot of additional features that contribute to its efficiency. It has a rugged aluminum fixed base that makes it durable and reliable for any application that you will be doing. Regarding its power, it is at par with the leading models in the brand because it can also deliver a good performance with its 5.6 AMP motor. The variable speed feature of this palm-grip router kit has a good start-up system and quick-lock systems that adjust easier to perform. It is a very compact and small package that weighs 11.8 pounds. This might seem heavy, but you will get used to this weight especially when you are going to carry it around and move it to different places. It is very versatile, allowing you to do carpentry, laminating floors and even deck planks, mortising hinges, and other domestic projects. With its power and efficiency, you can also use it for heavier applications. The router and bits still work efficiently even after long hours of usage. Parts are tightly woven together so nothing comes loose. Very cheap for its features and functionality. Lights might be too bright for some. 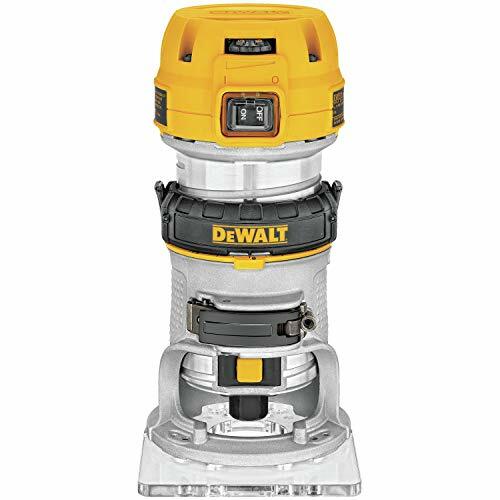 If you want something that has innovative features, DEWALT has got it all for you. With this new compact router, there will undoubtedly be nothing that you cannot do. What’s unique about this tool is that it has dual LEDs that will ensure maximum visibility in the operations that you are going to perform. The soft-starting features of the tool also sustain the speed of the router. However, if you still need some adjustments, you may even do so. A lot of people love the flexibility of this tool regarding the delivery of its performance. The adjustment ring will enable you to control specific bit changes with precision. If you need some repairs with the motor component, you can easily remove it and return it. Focusing on the LED light, you will notice that it will give you the visibility that you need. For those who have a hard time seeing what they are working on, this is the perfect tool because of the dual LEDs. To add to this, it even has a clear base. Errors will surely be minimized with this one that is why a lot of perfectionists choose this one over others. The other parts of the tool also work well for the overall performance of the router. It can easily be maneuvered because of its very comfortable grip and secure grip. Now, you can bring it with you anywhere you want to. Fixed base routers are just that, the height of the bit is fixed. This does not mean you can’t adjust it, you surely can. It means you can’t adjust it while you’re using the router. These are the most common types for router tables. Why??? Because they are lighter. They are lighter because they don’t have the plunge mechanism built into the router and that means the router is lighter. Plunge base routers are very versatile in the shop. If you use your router in a hand-held application, you will want to be able to control the depth of the bit while doing your work. Plunge routers allow you to make quick adjustments for the bit and allow you to start with the bit out the work and plunge into it. Can you use them in router tables, yes, does it work well? Yes and no, but that is subject to debate you will still have to take the router out of the table with the insert attached to make small adjustments to the bit height. Having a router lift eliminates some of this. Generally, its best to use a fixed base in the table and a plunge base for handheld use. Combo packs allow you to live in the best world since you get both fixed base and plunge based bases in a kit. You can take the fixed base and permanently attach it to your router insert and leave it there. You can simply then take the motor out of the plunge base and use it in the table when need it. Then when you need it for a handheld application, you can simply put it back in the plunge base and it’s like having two routers in your shop. How cool is that? Router Bits is one of the most useful and flexible tools when it comes to woodworking tasks. Router bits are utilized to design, hollow, drill, trim and even detail a wood or door. But it depends on the kind of router bit you have when it comes to what it can do, and you also must have creative thinking. Woodworking and the type of router bit to use is a very vital skill to learn. One perfect example of a router bit is a Carbide Router Bits. This is one of the top-selling router bits in the market; it is primarily due to its versatility and durability. Generally, there are two basic classifications of router bits; each has their wonderful feature. If you need to make more accurate depth adjustments then you need a fixed-base router bit, another type classification of a router bit is the Plunge routers, these kinds of router bits start the cutting right in the middle of the wood you are working. Another example of a router bit is the Yukon Tool YTRB24 24-Piece Router Bit Set manufactured by Yukon Tool, everything you need to complete your woodworking task is included in the set, and this brand of router bit is one of the most commonly used routers bit these days. Are you aware that router bits are available in many different shapes and sizes? Yes! And the variation means that they function differently from each other, some router bits can add the decorative profile to the wood you are working at or to your door. Additionally, they can create grooves and many other designs you can think of. There is what we call the High-Speed Steel router bit and the carbide-tipped router bit. 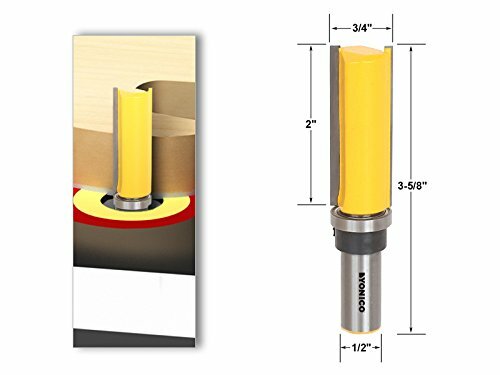 If you need an all-around router bit, then you need a carbide router bit. But if you need to do a specific or single task only then, you should choose the high-speed steel router bit. Because the carbide router bit is a little bit more expensive compared to the high-speed steel router bit, but it does last longer. Another excellent example of a router bit is the CMT 800.626.11 2-Piece Tongue and Groove 1/2-inch Shank Router Bit Set. Although investigating woodworking routers and their related features may be the primary focus of many entering the world of router woodworking, many are surprised at the significant investment that is required to acquire even a basic assortment of router bits. Compatible with various router kits. Small pressure is required to be able to maximize its use. Leaves some gaps on the materials that you will be cutting. Sometimes gets broken with repeated use. Routing applications will never be complete without routing bits. These are the tools that you will use to cut different materials. This brand will be able to cut through composition materials, hardwoods, softwoods, plywood’s, and many more. Despite its size, it can be used for different purposes. Usually, it is perfect for hand-held and table-mounted portable routers. The quality of the cuts will surely meet your expectations. Because of the precision of this tool, it has become a part of the kit of those who are fond of doing light to heavy applications. You can be sure about the quality of this brand because it was designed from durable materials. It underwent rigorous manufacturing processes so that it will be able to deliver its use to the owner. There are a lot of designs that you can choose from, depending on your needs. It is very sharp, helping you achieve the maximum cutting prowess that you need. Another feature that it boasts of is its top mounted bearings which make them the best tool for lettering and other template work where precision is required. The tool is lightweight so you would not have a hard time using it. It was designed to be very portable for the convenience of the user. The carbide material will surely last for years. Has longevity and increased safety features. Blades do not chatter or tear even when cutting thick materials. Seems too small for some. You might not be able to cut properly if you use the full length. For those who are involved in industrial works, Yonico brings this router bit right at your doorstep. There is no need to look further because this tool can accommodate all your needs. It is made from tungsten carbide, making it efficient in cutting different composition materials. It has a solid hardened steel body which makes it very durable. It will surely last for years even if you use it quite often. It will not overheat because of its heat resistant Teflon coating. Thus, you will be able to use it continuously for hours. Another great thing about this tool is that it has a lifetime warranty so whenever you need to have it repaired, you need to call the manufacturer. The performance of this tool boasts of high-quality and smoothness. The cuts that you will be able to make will undoubtedly contribute to the quality of the product that you are going to create. The tungsten cutters will yield industrial quality products. It does not require batteries, and it only weighs about 3.5 ounces. You will not find it difficult to see this one in the market. You need to go to Amazon and search for it. You can use it also for domestic purposes such as with a homemade template. This is how versatile the tool is. Good flexibility in terms of the cutting direction. Cheap for its functionality and other features. Wider bearing is needed for certain projects. Might not cut well with selected materials. This is probably one of the most versatile tools that you will ever find. This routing bit has top and bottom bearing components that let you rout the curve in many directions. You can rout half the curve in one direction and then in the opposite direction by flipping the workpiece over. All of this can be done without having to reposition the pattern. With its versatility, it can also be used for different templates. It can also be used for other projects such as for trimming laminates and creating countertops, shelves, and the likes. You have the freedom to choose which direction to cut so you can be more creative with your designs. You will also be able to cut a variety of materials including softwoods, hardwoods, veneered plywood, and plastic laminates. Because of its precision, it can be used for lettering and other projects that would require the focus on specific details. With its shear right angle design, you will surely be able to perfect the finish that you want. The materials that were used for this tool are also heat-resistant. Freud was able to make this trim bit very easy and convenient to use so you will surely get that hang of it in just a short while. Results of cutting satisfy the user. Seems too big to be working with a handheld router. Difficult to measure things using the router alone. This router boasts of industrial quality bits that you will not find elsewhere. With its C3 Micro-grain tungsten carbide cutter, it will surely be able to rout different composition materials with various templates. 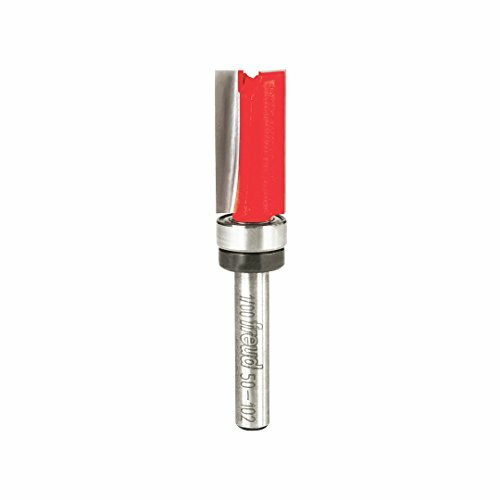 It has an anti-kickback design that increases the safety and efficiency of the tool. You will feel the durability of this product because of the solid hardened steel body that it has. A lot of people were satisfied with the performance of this tool even for long hours, and this is probably due to the heat resistant Teflon coating that it has. This tool is perfect for combined plunge-cutting and pattern/template routing. The cutters are long enough to accommodate applications that would require thick cutting materials. However, the portability of the tool is not affected. It is lightweight and compact, so you will not find it difficult to hold it. What’s good about this brand is that it can be used even without a bearing. There are a lot of reasons why you should love this brand, but basically, it is because it can accommodate all your needs and preferences. It also has a lifetime warranty, but you probably will not use this because of the durability of the product. There are a couple of schools of thought when it comes to purchasing router bits. While it is true that purchasing router bit sets can significantly lower the cost on a per bit basis, the problem with this approach is that often many of the bits in the set are never or rarely used. My preferred method is to purchase bits on a project to project basis. Not only does this spread the cost out over time, but you are assured of paying for just what you require. Having said this, I must admit that I have purchased sets of bits when the discount is so substantial that it was cost effective even if half the router bits go unused. The most common sets are comprised of commonly used router bit profiles such as V-groove, 45-deg. And small round overs. Give some thought to what size router and associated collet size are most suitable for the common machining operations of each router bit. The general rule is that the larger diameter bits require a larger more powerful router motor and operate with reduced chatter if the bit shaft is 1/2″ compared to 1/4″. 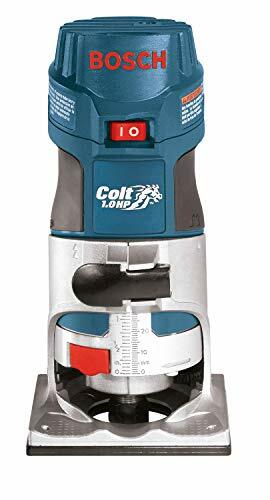 On the other hand, I prefer to use a small trim router with a 1/4″ collet for most light duty trimming operations such as chamfering and small radius round-over operations, so I always purchase those types of profiles in the 1/4″ version. A good quality router bit will usually perform well machining several hundred feet of cutting provided the proper feed rates, and incremental cutting practices are observed. However, the carbide edges are quite fragile if dropped or otherwise damaged. There are many router bit storage cabinet totes and cabinets design available online. Why not build such a cabinet and hone your woodworking skills while at the same time ensure that your substantial investment in router bits will be protected? Another advantage to a router bit storage cabinet is that all your bits will be in one place and not scattered around where they can easily be misplaced. While I generally prefer quality bits from such suppliers as Freud, Whiteside, Amana, there are times when a lower quality bit is perfectly suitable. If I need a profile that I will not often be used, and the quantity of machining is minimal, I will often elect to save by purchasing an off-brand. While the carbide thickness is reduced compared to a well-known brand, I have found these bits to be serviceable for the right task and limited workloads. To realize the full potential of the woodworking router, some tasks require a router table to safely and accurately complete a milling operation. Selecting the best router table for your intended needs and budget requires some research. A router table in your shop can be a significant investment. There are many things that you can do on a router table. Setting up to make precise cuts is comfortable and the results are amazing. Tables can be as simple as a flat top with four legs with a rectangular hole cut out to insert a plate with a router attached to it. Some are elaborate with a closed cabinet base that has a dust collection system. Prices range from under a hundred dollars to hundreds of dollars. It is always a good idea to find one somewhere in the middle of that range. Cheap may get the job done but will the table hold up over time? So, I choose to stay away from cheap. I have talked to many router table owners and most wish they had spent a little more time researching to be more informed when purchasing their router table. Things that I look for in a router table is a right solid table top with and a good fence. I like to have a dust port to attach a shop vac because routers create a lot of dust. A bit guard is a must because safety comes first in my shop. I want to go out of this world with all the same parts I came into it with. Is the miter track built well enough to stand up to years of use and abuse? Does it have a pre-drilled router insert plate with mounting screws? And is the cabinet sturdy enough? After doing a lot of research, I found that the Bosch RA1171 Cabinet Style Router Table fits all my criteria and it is under 200 dollars. You can always build one if you want. Router tables are not that hard to build, and you can end up with a very functional router table for under a hundred dollars. Here we reviews top trim routers table for woodworking available in the market. Read out unbiased reviews and learn about the basic of each products. If you find anything suitable for your task then you can buy it from the purchase link. All the essential features are present. Size is perfect for various types of projects. Mounting plate may come off as rough and uneven. Hard to tighten the fence. Your tools will not be as effective if you do not have a conducive workplace where you can do your project. If you are currently working on routing certain materials, you need a good router table. One such brand that you should look out for is that of Bosch. 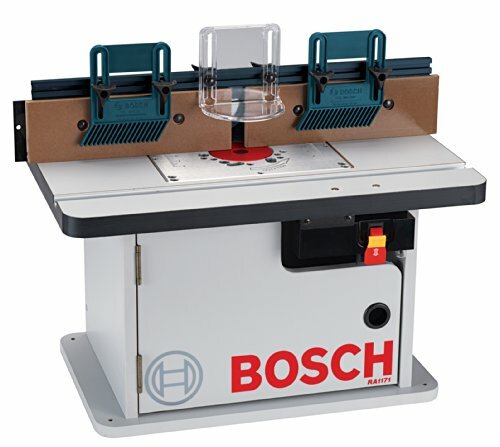 The benchtop router table of Bosch can attach to any workbench, so you do not have to make a lot of adjustments. There is an outlet switch where you can plug your tools easily. Also, you can work far from a socket because of the power cord that reaches 6 feet. Because of this, you can place the table whenever you want to. It has a lot of features that will surely make it easy for you to do things such as 3 mounting plate insert rings a mounting hardware, 2 feather boards, starter pin guard, and a whole lot more. The work surface is spacious enough to provide you with a very conducive are to work with. It is made of aluminum so you can really be sure that the surface is smooth and durable. The rigid mounting plate ensures that cuts are precise and accurate. The aluminum fence also makes it easier for you to have a better support and foundation. Dust collection port is also available to ensure that you can easily maintain the cleanliness of your work space. Table can be easily detached so router can be used freely. There are some minor pieces that need to get fixed to be more durable such as the feather boards. Can only be used with Craftsman router bits. This combo is sure to make you more passionate in making routing projects. What more can you ask for when you already have a router and a table to work on? Craftsman made this combination as efficient as possible by including all the things that you need including a fence, dust guard, feather boards, and miter gauge. The surface of the table is laminated and thick that is why it can certainly handle various kinds of projects. Cutting materials will surely be easier because of the features of this router table. The double outlet power strip allows you to connect tools that can make the job easier. Of course, it also has a dust extraction port that you can connect to a vacuum to be able to easily clean the debris of the material that you are cutting. The router has enough power and has a longer life. It runs at 27,000 RPMs through its 9.5-amp router and a motor that has 1-3/4 HP. You can easily adjust depths even up to microfine pieces. Also, the above-the-table cutting height can also be adjusted based on your needs and preferences. The router and the table work together perfectly to ensure maximum level of accuracy. This is best for first timers because you can easily learn how to work with the tools that are needed for routing projects. Can be assembled and used with ease. Good output because of the precision and accuracy provided by the table. Vibrations cause things to go out of balance. Fence might not handle heavy projects. 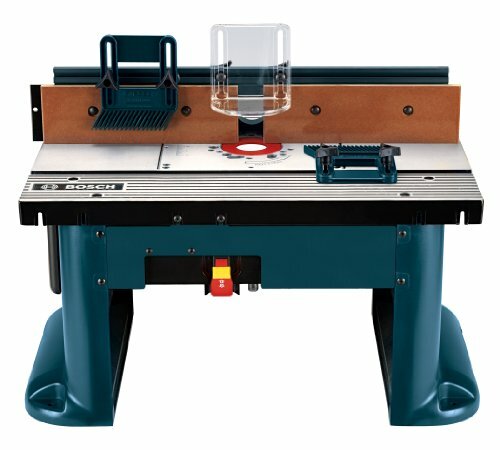 This Bosch Cabinet Style Router Table boasts of various advantages over other brands. First, it has a tall aluminum fence that can handle projects well with ease. The face plates of the fence can be easily adjusted to make things more convenient for you. Bosch is also proud in terms of the precision of this router table. The router is rigid, making it easier to cut and maintain the accuracy of the measurements. The mounting plate will stay flat while you are cutting so you do not have to worry about it moving a little as you are working. It is also very easy to use that is why this is recommended for beginners. You also have enough guidance so that you will commit less mistakes in terms of routing different materials. The pieces of this router table can be adjusted easily so you would not have to buy different sets. There are a lot of accessory slots that you can use for various purposes. You can also clean up with ease because of the dust collection ports that the table has. It has a 6 feet long power cord that provides additional convenience for the worker. All the essential parts of a routing table are already here so you do not have to look elsewhere. It is an upgrade from the smaller routing tables. Needs improvement especially on the dust hose collector. Adjusting the fence can cause unclipping of the part. This is one of the most unique tables that you will see in the market right now. Unlike other routing tables, it has three molded Level-loc reducing rings that can help in easily adjusting the details of your project. It also offers a T-square style router table fence that will add to the precision of your cuts and measurements. It also allows you to be more flexible in terms of your work space with its outfeed anchor. This structure offers more table space and assists in the easier removal of the table. The steel stand can also be adjusted easily from a height of 31” to 39”. It is multipurpose, serving its purpose well. Because of this, you can be more creative and efficient with your project. 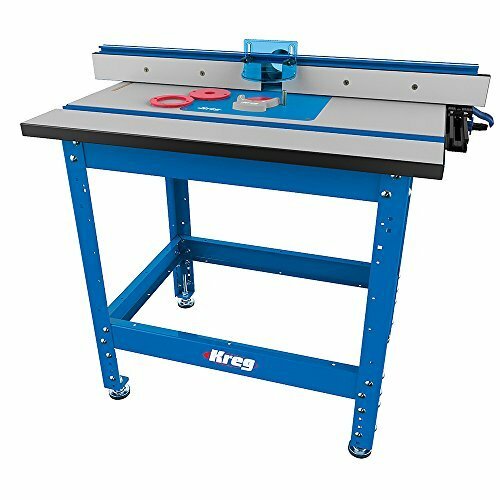 There are a lot of innovations that you will see in this router table system but KREG has also managed to retain the essential parts. If you need the best one for your light projects, this one is for you. The price of this table can be justified with its versatility. You can accommodate more projects when you have this one. It is also very durable so you will surely be able to use it for years. This folding table can fit easily into your work space. With good packaging and clear instructions. No way to adjust the height. Legs are not that sturdy enough. 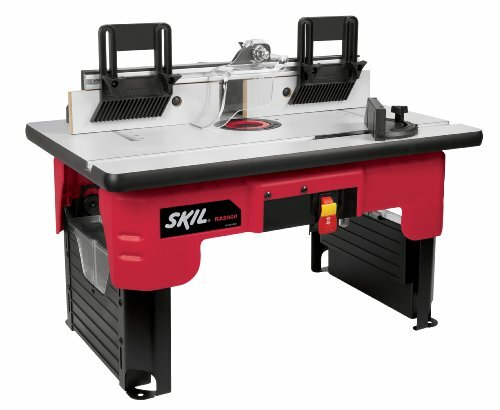 Skil is perfect for those who have a lot of accessories and want to store them with the router table. This one has storage containers beneath the table that can help in organizing your tools. This is beneficial especially for those who keep on losing things easily. It has a quick clamp system that is used to secure the containers. Aside from this additional feature, it also has the basic features that a router table should have. This includes two feather boards which assist the user in making accurate cuts. It also has a starter pin and guard help that can be used to support the work piece when routing curved edges. You can easily set this thing up and make your work place more conducive because it has been pre-assembled already. It can be folded easily when not in use. It is also very easy to mount the router because you do not have to make major adjustments. It can be attached and detached within a few seconds so it would not be too much of a hassle for you. The surface of the table has been laminated and can be adjusted easily for your convenience. If you are fond of DIY projects, this table is for you. Many consider the construction of a router table a write a passage into the realm of serious woodworking. It is true that while designing a router, the table offers an excellent opportunity to practice. Some prefer building their table. But you need skills making a router table for woodworking. Or you can purchase a full-featured router table. The decision to develop your router table depends on your available time and priorities. There are plenty of other tools I have in my shop like a drill press, miter saw, and band saw, but out of all my power tools, the router is the most important tool I own. Having more than one router is even better. This allows me to cut down the setup time for different steps of any given project. And believe me, the money spent on routers is the best investment I have made in my shop. To get the most out of Woodworking with routers is to have a table to mount your router too, whether it be a “Shop Made” or a “Manufactured Model” and there are plenty that you can choose from. This will give you a solid base to work on and give you exact cuts. Peter has been mastering the fine art of woodworking for over twenty five years. His area of expertise is woodworking. 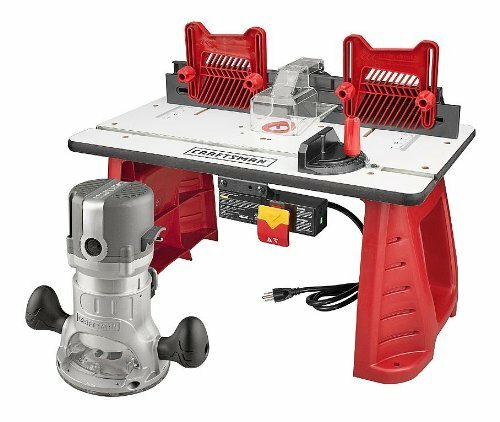 Here is a complete guide, recommendation for best trim router, bits and table for woodworking with unbiased reviews. Read and choose the top one for you.